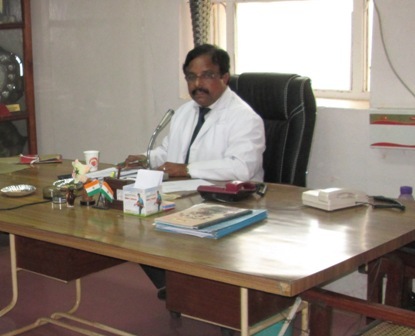 Thanjavur Medical College is providing basic health care to the suffering humanity in the delta districts of TamilNadu. To fulfil our vision the TAN MED JOURNAL is started at Thanjavur Medical College. This will be used as a platform for our students, post graduates, faculty members to publish their research work. TMJ is a biannual peer-reviewed medical journal published by the Government Thanjavur Medical Collegel, Thanjavur,Tamilnadu,India. The journal does not charge for submission, processing or publication of manuscripts. TMJ accepts manuscripts written in UK English. The contributors should take responsibility for the integrity of the work and claims made therein as a whole from inception to published article. The journal takes no responsibility for the claims made in the published articles. The journal will cover technical and clinical studies related to any aspect of medical sciences including ethical and social issues. Articles with clinical interest and implications will be given preference. A manuscript will be reviewed for possible publication with the understanding that it is being submitted to TMJ alone at that point in time and has not been published anywhere, simultaneously submitted, or already accepted for publication elsewhere. All manuscripts received will be duly acknowledged and ascribed a manuscript number. On submission, editors review all submitted manuscripts initially for suitability for formal review. Manuscripts with insufficient originality, serious scientific or technical flaws, or lack of a significant message are rejected before proceeding for formal peer-review. Manuscripts that are found suitable for publication in TMJ are sent to two or more expert reviewers. The journal follows a double-blind review process, wherein the reviewers and authors are unaware of each other’s identity. Every manuscript is also assigned to a member of the editorial team, who based on the comments from the reviewers takes a final decision on the manuscript. The comments and suggestions (acceptance/ rejection/ amendments in manuscript) received from reviewers are conveyed to the corresponding author. If required, the author is requested to provide a point by point response to reviewers’ comments and submit a revised version of the manuscript. This process is repeated till reviewers and editors are satisfied with the manuscript. Manuscripts accepted for publication are copy edited for grammar, punctuation, print style, and format. Page proofs are sent to the corresponding author. The corresponding author is expected to return the corrected proofs within 48 hours. It may not be possible to incorporate corrections received after that period. The whole process of submission of the manuscript to final decision and sending and receiving proofs is completed online (via e-mail). 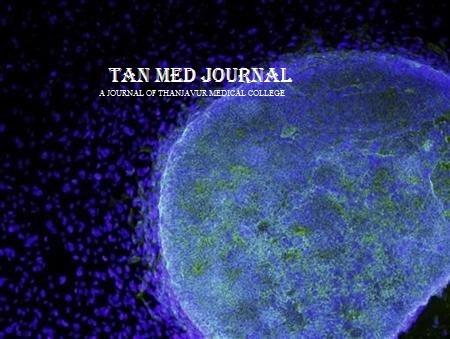 The TAN MED JOURNAL is a peer-reviewed general medical journal. The Journal publishes original papers, reviews and other articles relevant to healthcare in India with the aim to inform, educate and entertain healthcare professionals. It provides for analysis and advocacy of issues relevant to health policy and health provider training. It also gives opportunity for expression of individual opinions on healthcare. In general, the use of abbreviations is discouraged unless they help in improving the readability of the text. The expanded form of each abbreviation should precede its first use in the text unless it is a standard unit of measurement. Original articles: These scientific reports give results of original research. These should have a structured abstract and should follow the IMRAD (Introduction, Methods, Results and Discussion) format. Reports of randomized controlled trials should conform to the CONSORT statement on reporting such trials (www.consort-statement.org). We encourage reports of diagnostic tests to be accompanied by the STARD flow diagram and checklist (www.clinchem.org/cgi/content/full/49/1/1), reports of meta-analyses of randomized trials to be accompanied by the QUOROM flow diagram and checklist (www.consort-statment.org/QUOROM.pdf), and meta-analyses of observational studies to be accompanied by the MOOSE checklist (www.consort-statement.org/MOOSE.pdf). Review articles: These provide an in-depth review of a specific topic. Authors should preferably be working in and have published papers in the area being reviewed and have sufficient expertise to critically evaluate the relevant literature. Appropriate use of tables and figures is encouraged. Where relevant, key messages and salient features may be provided. Review articles are usually solicited by the Journal, but unsolicited material will also be considered (approx. 3000 to 4000 words). Short reports: These are brief reports on original research (approx. 1200 to 1500 words). A short report may include up to 3 tables or figures and 15 to 20 references. Editorials will be signed. These are usually solicited but unsolicited material may also be considered (approx. 1000 to 1200 words). A maximum of 12 references may be included. Editorials should normally not have tables and figures. Selected summaries of important articles published elsewhere. These should provide a short summary of the paper in the reviewer’s words (not the original authors’ published abstract) followed by comments (approx. 1000 words). The study design and the relevance of the original publication to healthcare in India should be commented upon. A copy of the original publication should accompany the submission. Clinico-pathological conferences: These articles (about 4000 to 5000 words) are edited transcripts of the discussion of a patient (whose clinical details are provided) by a clinical discussant, followed by the findings at a definitive test (a biopsy, autopsy, confirmatory serological test, etc.) discussed by a pathologist. Appropriate radiological and histo pathological images should be included. Everyday practice. This section includes articles that deal with common problems faced by healthcare practitioners. These articles may discuss the causes, diagnosis and treatment of ailments commonly presenting to doctors working in primary health centres in villages or general practitioners working single-handedly in towns and cities. The articles should be generously but simply illustrated with sketches, line diagrams, flowcharts and photographs (approx. 1500 to 2000 words). How to do it: This feature aims to assist both trainees and practitioners in mastering important procedures. A detailed illustrated description of a commonly used technique or procedure should be provided (approx. 1200 to 1500 words). Clinical case reports: These are brief descriptions of a previously undocumented disease process, a unique unreported manifestation or treatment of a known disease condition, a unique unreported complication of treatment, a case that generates a new hypotheses or helps understand possible patho physiological processes (approx. 700 to 1200 words). These may be accompanied by one relevant photograph. Medical ethics: Articles dealing with ethical aspects of practice of medicine or medical research in India. Legal issues in medicine can also be highlighted in this section (approx. 2000 to 2500 words). Medicine and society: These articles discuss any issue related to healthcare, which may have important social, economic or political dimensions (approx. 2000 words). Medical education: This section includes articles on original research in ‘Medical education’ including the use of new techniques and teaching aids, the design of curricula and evaluation of current educational practices. Brief reviews in the field of medical education are also considered (approx. 1000 to 2000 words). 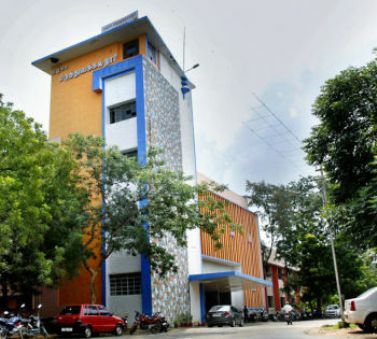 Indian medical institutions: A profile of a medical institution outlining its history, major achievements, present problems and plans for the future (approx. 2000 to 2500 words). At least three photographs or illustrations should be included. To view a list of institutions already profiled, please. Speaking for myself (ourselves): A personal viewpoint on any aspect of healthcare in India. This provides a forum for airing individual views on different facets of debatable and topical subjects in healthcare (approx. 1500 to 2000 words). Though references may be provided where appropriate, the focus is on personal views and interpretations. Correspondence: This includes readers’ comments on articles published in the Journal during the previous 6 months. Short studies, observations and opinions may also be submitted (approx. 300 to 500 words with a maximum of 1 table or figure and 10 references). Obituaries: A doctor working in India or an Indian doctor working abroad who left her/his mark on society or on the profession and whose contributions need to be highlighted. A brief sketch of the person’s personal and professional life along with a photograph may be submitted (approx. 750 words). News from here and there: An interesting piece of news involving or affecting healthcare in India and abroad (approx. 250 to 400 words). Classics in Indian Medicine: In this section, a previously published important paper is reprinted with a brief biographical sketch of the author. A current authority in the relevant field provides a brief summary of the article’s impact on the practice of medicine since its publication. The Journal invites suggestions for such articles. These should include the full bibliographic details of the originally published article. Notices: Details of conferences, workshops, updates and continuing medical education programmes should be provided well in advance (at least 3 months). Please include the title of the conference, date, venue and names of contact persons with their contact details (postal and e-mail addresses). Images / Video: These are interesting or unusual educational images related to healthcare with a short description (up to 250 words). Examples include radiological or microscopic images or pictures of a pathological entity, a clinical sign or even a phenomenon. Anything of interest to readers of the journal may be submitted. The image/video should either belong to the author or be accompanied by a permission letter from the photographer. Images/videos may be in black and white or in colour, and should be in JPG or TIFF format/MPEG2 or MPEG4 video format. A video could be stand alone or complement a still image (e.g. for an echo cardio graphic recording, an endoscopic recording, a neurological sign). Videos will be placed on the website of the Journal with a description and web address (URL) in the print version of the journal. All images that allow for possible identification of the patient must be accompanied by a consent from the patient to publish the image. Manuscripts should be prepared in accordance with the ‘Uniform requirements for manuscripts submitted to biomedical journals’ of the International Committee of Medical Journal Editors (ICMJE) (last updated in 2004, www.tmctnj.ac.in). A recent issue of TAN MED JOURNAL should be consulted while preparing manuscripts. Three complete sets of the manuscript, typed double-spaced throughout (including references, tables and legends to figures), should be submitted. A checklist and authors’ declaration, both provided at the end, should accompany each manuscript. Please keep a copy of all material sent to us to guard against loss of the manuscript in postal or electronic transit (viz. a virus screening programme deleting attachments from electronic submissions). Manuscripts whether published or not will not be returned to authors. We encourage electronic submissions by email on our website ( www.tmctnj.ac.in ). The preferred file format is Rich Text Format (rtf file extensions). Acceptable formats for pictures, photographs, and figures are JPG, GIF and TIF. All files should be formatted using British English spellings and 12-point Times New Roman font. All files should be formatted for A4 sized paper with a 1-inch margin all around. All pages should be numbered consecutively beginning with the title page. However, one hard copy of the manuscript and the authors’ declaration would need to be submitted. For postal submissions, a matching electronic version on a 3.5” floppy diskette or a compact disc (CD) using the file formats mentioned above should accompany the manuscript. Each manuscript received by the journal, either by post or electronically, is assigned a manuscript number and acknowledged. Please provide the manuscript number in all future communications. If you do not receive an acknowledgement within a week, please send us an email or a FAX. Efforts are made to convey an editorial decision to authors at the earliest, usually within 3 months of submission. One author must be identified as the corresponding author. The Journal will communicate with the corresponding author if any clarification or information is needed. Comments from peer reviewers will be transmitted to the corresponding author. It is expected that the corresponding author will communicate/respond to the Journal’s queries after having consulted all the authors and will assume responsibility for all such communication as well as for the work as a whole. The covering letter should outline the importance of the paper and its appropriateness for publication in the Journal. It should specify the section of the Journal for which the submitted article is to be considered. It should also explain, with reasons, if there is any deviation from the IMRAD format. If the work has been previously published in part or whole (e.g. as an abstract or proceedings of a conference), this must be stated. Any conflicts of interest, or their absence, must be stated in writing (see below and www.tmctnj.ac.in). This should contain the title, short title, names of all the authors (without degrees or diplomas), names and full location of the departments and institutions where the work was performed, name of the corresponding author, acknowledgement of financial support and abbreviations used. Superscripted numbers should be used after each author’s name and the department and institution corresponding to each number should be specified on the page. Names of authors should appear in the order of authorship (see below). The title should be brief but complete and should represent the major theme of the manuscript. It should include the animal species if appropriate. A subtitle can be added if necessary. Abbreviations should not be used. The short title should not exceed 60 characters (including inter-word spaces). It will be used as a running head. The name, telephone and fax numbers, and complete e-mail and postal addresses of the author to whom communications and requests for off prints are to be sent should be mentioned in the title page. Exact p values should be provided. Confidence intervals for measurements should be provided wherever appropriate. The software package (name and version) used for statistical analysis should be specified. These should be concise and include only the tables and figures necessary to enhance understanding of the text. Results should be presented in a logical, sequential order that parallels the organization of the methods section. The text should be used to highlight the most important aspects of the figures and tables, and to convey unique information. Data presented in tables and figures should not be duplicated in the text. Drug names, wherever used, should be generic. If the use of proprietary names is deemed a must for the study, generic names should be mentioned in parentheses. SI units should be used. When reporting values for commonly studied components such as cholesterol, blood glucose, blood urea and creatinine, report the value in SI units with traditional units given in parentheses. Temperature should be expressed in degrees Celsius and blood pressure in mmHg. The discussion should summarize how the study findings add to the current knowledge, provide explanations for the findings, compare the study’s findings with available studies, discuss the limitations of the study and the implications for future research. Only those published articles directly relevant to interpreting the results and placing them in context should be referenced. This section should conclude with a brief summary statement. The conclusion should be based on and justified by the results of the study. The particular relevance of the results to healthcare in India should be stressed. Conclusions regarding cost-benefit should be drawn only if a specific economic analysis formed a part of the study design. References should be numbered in the order in which they appear in the text and these numbers should be inserted above the lines (superscripted) on each occasion the reference is cited (e.g. Sinha12 confirmed other reports13,14...). References included at the end of a sentence or part of a sentence should be placed after the punctuation mark. References cited only in tables or in legends to figures should be numbered in accordance with the sequence established by the first identification in the text of the particular table or figure. Avoid using abstracts as references. For papers accepted but not yet published mention the name of the journal, the year of publication and add ‘in press’ in parentheses. Information from papers submitted for publication but not accepted should be cited in the text as ‘unpublished observations’ with written permission from the source. Avoid citing a ‘personal communication’ unless it is essential; such citations must list in parentheses in the text the name of the person and date of communication. Written permission, obtained from the author of such communications for their use in the manuscript, must be submitted to the Journal. Do not include ‘personal communications’ in the list of references. Paintal AS. Impulses in vagal afferent fibres from specific pulmonary deflation receptors. The response of there receptors to phenylguanide, potato S-hydroxytryptamine and their role in respiratory and cardiovascular reflexes. Q J Exp Physiol 1955;40:89–111. Strong MS. Recurrent respiratory papillomatosis. In: Evans JNG (ed). Scott Brown’s otolaryngology. Vol. 6. Paediatric otolaryngology. London:Butterworths; 1987:466–70. List of databases in medicine and related areas. Karolinska Institute, University Library. Available athttp://kib.ki.se/tools/base/index_en.asp (accessed on 12 Nov 2004). These should be typed in double space on a separate sheet and figure numbers (in Arabic numerals), should correspond with the order in which the figures are presented in the text. The legend must include enough information to permit interpretation of the figure without reference to the text. Any labels or abbreviations within the figure must be explained in the legend. An ‘author’ is someone who has made substantive intellectual contributions to a study. In accordance with ICMJE guidelines (www.tmctnj.ac.in), authorship credit requires all the following conditions to be met. All authors should have participated sufficiently in the work to take public responsibility for the content. All authors must sign an undertaking accepting responsibility for the submitted manuscript. Authors are required to state their exact contribution to the study; the Journal may print this information. The order of authorship should be decided by all the authors. The journal strongly discourages alterations in the sequence or deletion/addition of authors at any time after submission of the manuscript. All contributors who do not meet the criteria for authorship should be listed in an Acknowledgement section. Examples of those who might be acknowledged include a person who provided purely technical help, or statistical or writing assistance. Financial and material support should also be acknowledged. A conflict of interest exists when a financial or personal relationship of the author may inappropriately influence his or her actions. Conflicts may be personal, commercial, political, academic, or financial. Some examples of financial conflicts of interest include employment, research funding (received or pending), stock or share ownership, payment for lectures or travel, consultancies and non-monetary support. Conflicts, or their absence, must be stated in writing by all authors at the time of submission of the article. The Journal may use information disclosed in conflict of interest and financial interest statements as a basis for editorial decisions. Sources of full or partial funding or other support for the research must be declared. For more information please see (www.tmctnj.ac.in). Patients have a right to privacy that should not be infringed without informed consent. Identifying information, including patients’ names, initials or hospital numbers, should not be revealed in written descriptions and photographs. If it is not possible to ensure anonymity, written, informed consent should be obtained from the patient and submitted to the Journal. Identifying details should be omitted if these are not essential but patient data should not be altered to attain anonymity. Plagiarism is the use of others’ published and unpublished ideas or words (or other intellectual property) without attribution or permission, and presenting them as new and original rather than derived from an existing source. This applies to all forms of documents, published (print or electronic) or unpublished. Authors should make sure that their manuscripts are free from plagiarized material. Providing a reference to the material quoted verbatim from previously published material does not absolve the user of plagiarism. Detection of plagiarism would lead to rejection of the manuscript and debar the publication of any material from the concerned authors for at least three years. The Journal may also send this information to the head of the institution where the authors work with a request for an inquiry in the matter. The Journal may also publish such correspondence in its pages to inform its readers of scientific misconduct. The Journal strongly disapproves of ‘Dual submission’, i.e. the submission of the same article simultaneously to different journals for consideration for publication. The authors must give an undertaking (see ‘Author’s declaration’ below) stating that the manuscript has not been submitted to another journal for consideration for publication nor has a substantial part of it been published previously. They should disclose details of any similar or closely-related paper(s) previously published, in press or those currently under review at another Journal. Previous publication of an abstract in the proceedings of meetings (print or electronic) does not preclude subsequent submission for publication, but this information must be provided at the time of submission. In case the manuscript has already been published elsewhere in any form, details of such publication (including a copy of the submitted/published manuscript) and the reason for submission in the present form must be stated at the time of submission in the covering letter. If dual submission or duplicate publication is found to have occurred, the manuscript will be rejected and the authors barred from future submissions. The Journal may also send this information to the head of the institution where the authors work with a request for an inquiry in the matter. The Journal may also publish such correspondence in its pages to inform its readers of scientific misconduct and such papers may be retracted. All articles submitted to the Journal are peer-reviewed. The process may differ depending upon the category to which the manuscript belongs. Most of the articles are assessed by two reviewers—one working in India and another abroad. Peer reviewers are experts in their chosen field who provide the Journal a written assessment of the strengths and weaknesses of manuscripts, with the aim of identifying the most appropriate and best material for the Journal. In appreciation of their efforts, reviewers are offered a free subscription voucher for three issues of the journal for each paper assessed. Authors may suggest the names and addresses of three experts each from India and abroad who, in the authors’ opinion, are best qualified to review the paper. Suggested reviewers should not be recent collaborators or co-authors (within the past 3 years), nor should they have provided substantial advice or critique of the submitted manuscript. Authors may also provide the names of reviewers they wish to be excluded, giving reasons for such a request. The Journal reserves the right to decide on the choice of reviewers. All reviewers are expected to inform the Journal about any conflict of interest while reviewing articles. Proofs of articles, prior to their publication, are provided to authors. These will be sent either by FAX or electronically. The authors may make only the necessary minor corrections at this stage and should answer any queries marked for their attention. The proofs should be returned, after corrections and answering all queries, within 2 days. Based on the comments of reviewers and in conformity with the policies of the Journal, manuscripts found unsuitable for publication will be rejected. The corresponding author will be informed of the rejection, and comments of the reviewers, if relevant, will be provided. The manuscript will not be returned. In case the authors so desire, a rejected manuscript can be resubmitted for fresh consideration. The authors must provide reasons for their disagreement with the reviewers’ comments and justify the need for a reconsideration. The journal may use its discretion to decide whether or not to submit the manuscript for a fresh review. This manuscript is our original work and is free from plagiarism. This manuscript or a substantial part of it has not been submitted to any other journal for publication. It has also not been published previously. The data in this study have not been used for any other manuscript published by us. ach of us individually takes full responsibility for the design and conduct of the study, had full access to the data and controlled the decision to publish the study. We agree to the order of authorship as stated on the title page of the manuscript. Each of us has seen the final version of the manuscript submitted for publication and has approved of it. All conflicts of interest are stated in writing. In the event of publication of this manuscript by The TAN MED JOURNAL, the copyright to this work shall stand transferred to the Journal.